1970-2010 ABBA – 40th year. Today marks the 40th anniversary of ABBA’s first Official performance together. But at this early stage the group wasn’t even called ABBA! The cabaret show Festfolk, which can be translated as “engaged couples” or “party people” was a show featuring them singing songs and performing comedy skits. 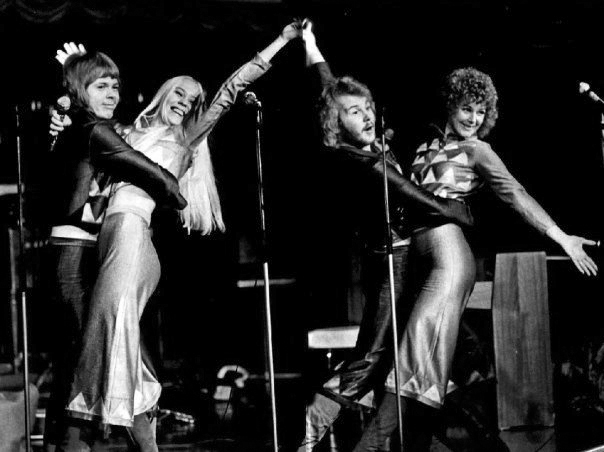 The show featured songs from the four individual’s careers, and some specially written songs by the boys, including ‘Hej gamle man!’ The show opened on November 1 1970 at Trägår’n in Göteborg. In December it moved to the Strand Cabaret in Stockholm, followed by a short tour in Sweden in January and February 1971.